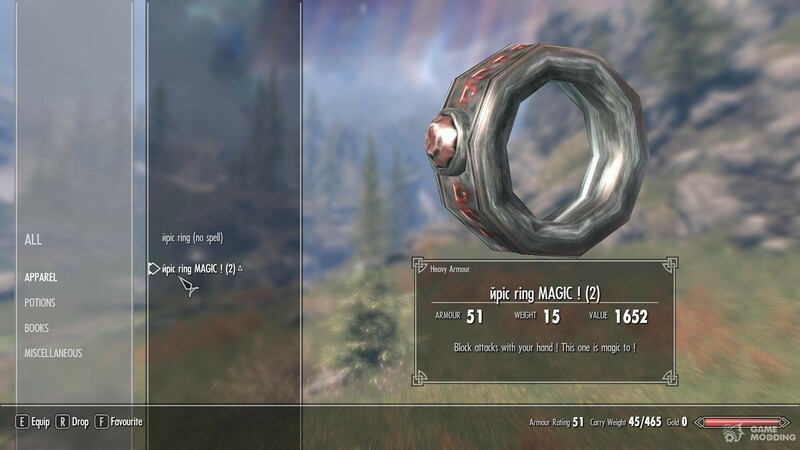 This mod as for goal to allow blocking atacks without having a big nasty daedric shield, covering half of your hud, and give you another way to feel the combat in skyrim. It was a small mod anyway so have fun with it thats all ! You can access the ring in the forge, there are two differents, one with the spell breaker effect and another without as your convenience. 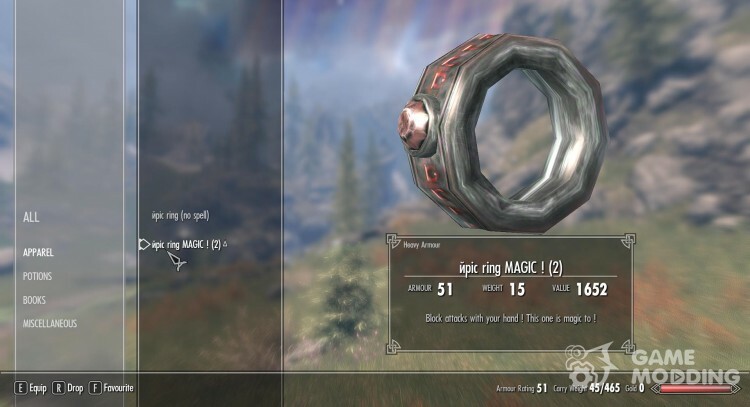 It request the same items as a daedric shield, and you can upgrade it the same way.